Cutting through diet and cancer headlines and hype isn’t easy for anyone, including your health care providers. They also look for help understanding the evidence and putting the latest studies in perspective. Last month I was in Atlanta, talking about obesity and cancer with dietitians who work with all kinds of people, from kids to seniors, and doing prevention, clinical work, food service and more. Here are a few common questions they asked, reflecting the questions they get from patients, clients and friends. 1. 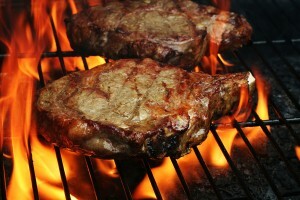 Grilling: How bad is charring for cancer risk and should we still grill? With all the attention on red meat and mortality, you may have missed the research showing that men who drank just one 12-once sugar-sweetened beverage a day had higher risk of heart disease than those who didn’t drink any. Sugary beverages are already associated with type 2 diabetes and weight gain (the AICR expert report and its updates link sugary drinks to weight gain, overweight and obesity). There’s less evidence on cardiovascular disease. 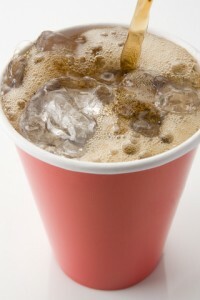 In this study of over 42,000 men, researchers looked at whether sugary beverages link to coronary heart disease (CHD). The men were followed for 22 years and they completed a food frequency questionnaire every four years. 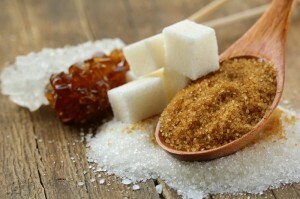 The study authors found that for one serving per day increase in sugar-sweetened beverage intake, the men’s risk of CHD increased by 19% even when adjusting for a number of lifestyle-related factors including body mass index (BMI), smoking, physical activity, overall diet quality, weight change and dieting. In 2009, results from the Nurses’ Health study linked a one serving per day increase in sugar sweetened beverages to a 15% increase in CHD risk. The researchers in the men’s study did not find evidence that artificially sweetened beverages had an effect on CHD risk.